Thank you, your registration has been submitted. A confirmation will be emailed to you or you call 818-508-9750 to confirm if you do not receive an email. You may pay for your class(es) below before the early enrollment deadlines or payment, at the regular price after the early registration deadline, will be required at the beginning on the first day of class. If you are a current student at La Voix Studio, please read the Attention line below. 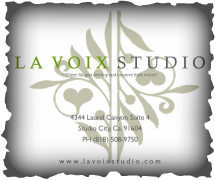 ATTENTION: If you signing up for a Sight Reading Class and you are a current La Voix Studio student, click here to receive your student discount and make your Payment using your student code. Students interested may enroll and/or prepay for their class online or at the studio. 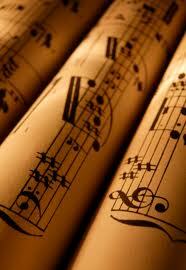 Introductory Sight reading and Music theory Class for Singers. This class is ideal for beginning sight singers and/or sight readers to learn or review the basic reading and music theory elements needed for the intermediate and advance courses. Students interested may enroll and/or prepay for their class online or at the studio.